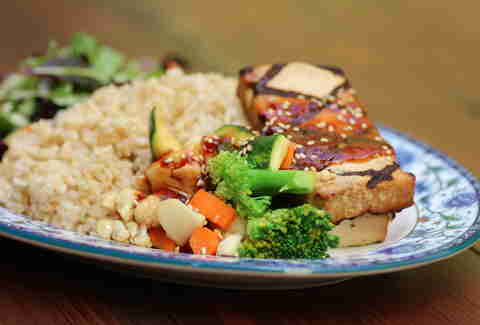 Glaze Teriyaki Grill. 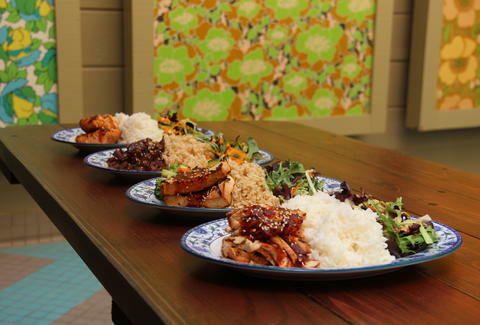 It's an NY-based (okay), Seattle-style (wait...) teriyaki spot that just opened its first West Coast iteration in... SF (brain cramp). The interior is super cool, with laser-cut wood panels from Brooklyn and 100yr-old flooring, plus there's an outdoor patio, but really, you just want to know more about the 'yaki, so... 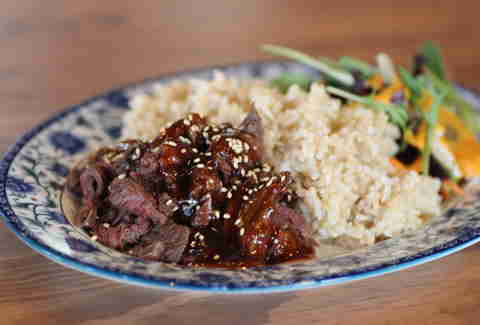 Here's a photo tour of every single thing they put teriyaki on (plus two things they maybe don't): Hanger Steak: Grilled steak and glorious sweet/spicy sauce? Yup. Done. 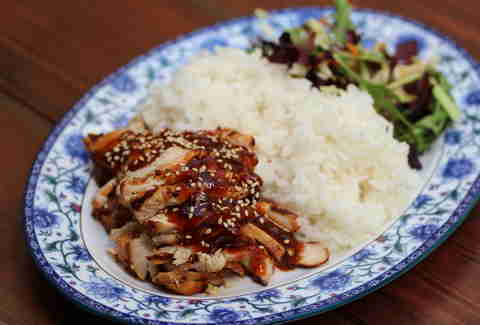 Chicken: Trying to cut back on all that grilled steak and glorious sweet/spicy sauce? Yup. Done: The Remix. 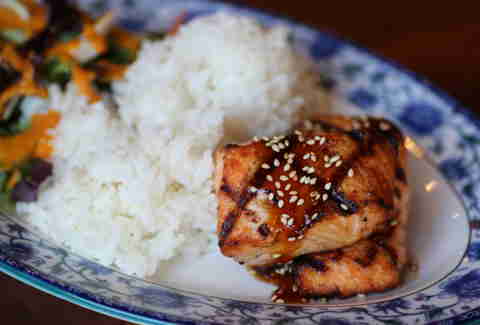 Organic Salmon: Something-something farm raised something-something sustainable something-something DELICIOUS. Tofu: Good news, even tofu tastes good dipped in teriyaki. 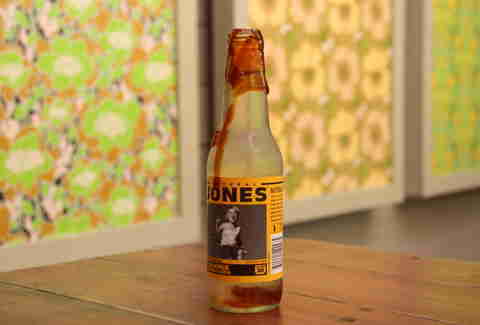 Jones Soda: Better news... so does Jones Soda! Devil's Teeth Raspberry Bar: What? 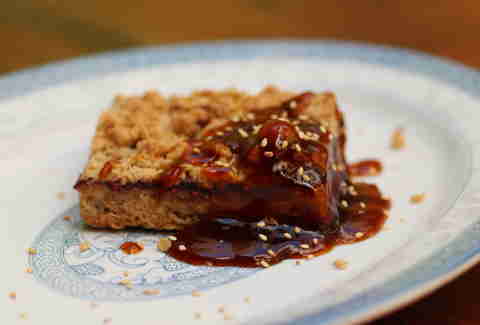 You've never had teriyaki-sauced raspberry bar?